This newsletter is the second in our series on long-term care. If you missed LTC 101, you can access it here. 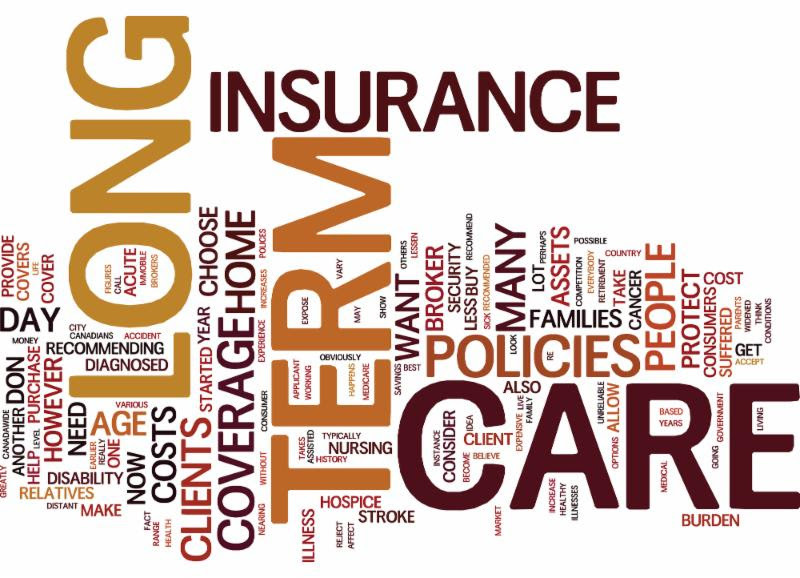 In LTC 101 we defined long-term care, Medicare, Medicaid as it relates to long-term care, and the key components of LTCI including benefit amount, benefit period, elimination period and inflation options. This education series is designed to help financial advisors, their clients and consumers understand the components of LTCI insurance, contract provisions and product designs. In this newsletter, we cover tax-qualified, Partnership and optional riders along with stats and facts about the risk of needing care and the cost of care venues. The government projections are that by the time we reach age 65, 70% of us will need some level of long-term care in our remaining years. In our opinion, that’s pretty significant. In fact, some industry pundits suggest that LTCI is no longer a risk management strategy. Today, they consider it an expense transfer strategy. Costs vary depending on the level of care required and the care venue. For example, the national median cost of four hours of non-medical care received at home daily totals about $49,192 annually today. But if you plan to self-fund that expense, you need to plan on $59,522 for the first year. Yes. That’s a 21% increase. And it’s based on a 15% tax rate on the liquidated assets and a 6% opportunity loss on those assets. Add to those costs a 3% annual increase in the cost of care each year and you need to set aside $249,019 to self-fund a claim lasting four years which is the average duration of about 60% of claims today. Using the same assumptions, 20 years from now the cost to self-fund four years of non-medical home care is projected to total $449,756. Self-funding 24/7 medical care in a skilled nursing facility nearly doubles these numbers today and in the future. Today, the national median cost of a private room in a nursing home is $97,455 annually. Again using the same assumptions, four years in nursing home care costs $493,336 today. In 20 years, that costs is projected to be $891,019. And that’s per person! Almost all traditional, standalone products sold today are tax-qualified. Some riders on asset-based products may also be separate tax-qualified policies. Tax-qualified was defined by the HIPAA legislation formally known as the Health Insurance Portability and Accountability Act of 1996. The advantages of a tax-qualified policy are twofold. One is that benefits paid are not taxable as income. The second benefit is that the age-based eligible premium allowed by the IRS may be included as medical expenses if policyholders itemize deductions on federal taxes. About 30% of taxpayers itemize federal taxes. If medical expenses exceed a certain percentage of adjusted gross income (AGI), a deduction may be possible. Additionally, 33 states allow a deduction or a credit on state taxes. If you purchased your LTCI after 1997, your policy is most likely tax-qualified. Additionally, HIPAA legislation allowed policies sold prior to 1997 to be grandfathered and considered tax-qualified if not materially changed. Tax-qualified policies have two triggers to eligibility of benefits. A policyholder must need assistance with two activities of daily living (bathing, dressing, eating, toileting, continence and transferring) or substantial supervision due to cognitive impairment. Non-qualified policies have a third trigger to eligibility of benefits which is defined as “medically necessary.” While this is potentially an easier trigger to eligibility of benefits, few carriers offer non-tax-qualified policies today. To date, the U.S Treasury has not ruled as to whether benefits paid will be treated as income. Nor has it ruled on premium deductibility. The value of Partnership is that it helps to manage the financial impact of Medicaid eligibility requirements. On a dollar-for-dollar basis, a Partnership policy will protect assets from Medicaid resource reductions requirements. In most states if you are a single individual qualifying for government assistance for long-term care through Medicaid, you are allowed to retain $2000 in countable assets. But if you have a Partnership policy that paid $250,000 for your care, you would be able to retain $252,000 in assets – the $250,000 that your policy paid and the $2000 entitlement. A Partnership policy must be tax-qualified and have age appropriate inflation protection as defined by the National Association of Insurance Commissioners. If you are younger than 61, your policy must include compound inflation. Between ages 61 and 75, your policy must have inflation but it can be simple of compound. At 76 and older ages, inflation is not required to qualify as a Partnership policy. Depending on health, wealth and financial goals, having a Partnership policy may be critical to your decision-making and financial security. Today, Partnership policies are offered in all but four states – Alaska, Hawaii, Mississippi and Utah. One of the most popular optional riders on traditional products is a shared benefit rider available when couples apply together. This rider combines the separate pools of funds available to each spouse/partner into one resource that can be shared. If each partner has four years of coverage, a shared rider combines the pools to create eight years of coverage. If one partner dies without using any benefits, the surviving partner has access to all eight years. Alternatively, if one spouse needs six years of coverage, the spouse needing care could continue to tap the combined pool of funds to cover care needs. This is a design that allows for more coverage for less premium. Policies must be identical for this rider to be offered. This shared strategy is also available on joint life insurance and annuity product designs. A provision of traditional policies is a waiver of premium when the policyholder is eligible for benefits and has fulfilled the elimination period. A spousal or joint premium waiver rider waives the premium on both partners’ policies if only one is on claim for the duration of the claim. This optional rider is offered by a number of carriers and can result in premium savings down the road. A survivorship rider is another way to potentially save premium dollars. It is especially attractive to younger applicants. A survivorship rider may result in a paid-up policy. Upon the death of the first spouse or partner, the survivor has a paid-up policy and no future premiums are required. The policy remains in force with all design components. Most carriers require a policy to be in force for 10 years without claim for this rider to become effective. The industry as a whole experiences most claims between ages 80 and 85. Just think of the relief a surviving spouse would experience with a paid-up policy following the death of his/her spouse. The primary objection of traditional LTCI is the “use it or lose it” proposition of this insurance. We buy insurance to offset risk, yet most of us don’t know if we will need custodial care as we age. The odds are great that we will. But what if we don’t? Asset-based products address this issue and, as a result, have grown in popularity. If care is never required the death benefit of a life insurance policy or the cash value remaining in an annuity is refunded to the estate or beneficiary(s). And many guarantee a return of premium if the policyholder quits the policy. It’s different with traditional policies. With some carriers, a return of premium (ROP) rider is a contract provision and will refund premiums paid, less benefits paid, if death occurs before a specific age. With others, a ROP rider can be added as an optional rider. But keep in mind, with almost all of the traditional products, the policyholder must die for this to be effective. It does not return premium if you just decide you don’t need or want the coverage any longer. You can read more about contract provisions in our February 2018 News Brief – LTCI — 301. But visit our educational blog, www.LongTermCareInsuranceAmerica.com, for more information in the meantime.